Who’s even interested in a budget electric skateboard? I mean, aren’t adrenaline-loving, adventure-digging thrill seekers the only takers for electric skateboards, and the lightning-fast, mountain-scaling ones at that? That’s pretty much what I thought, only to realize I hadn’t done my research. Turns out, electric skateboards have been slowly building a different reputation – as an alternative means of solo transport for urban dwellers. With cities getting more and more cramped for space, and automobile prices shooting through the roof, it’s only natural for people to look for other ways to get to work, a friend’s place, or the grocery store. This is why folding bikes exist, and why more and more people prefer public transport to owning, parking, and maintaining a car. And it is also why peace-loving, 9-to-5ing regular Joes have a newfound interest in electric skateboards. So what’s the deal with the Yuneec E-GO2? Yuneec (yes, the same brand that makes those Typhoon drones) was quick to realize that there’s a new audience for electric skateboards. 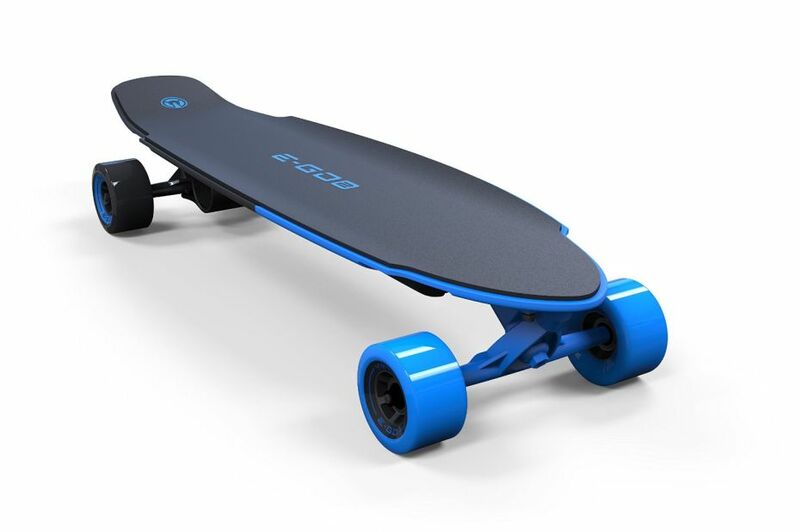 And it launched the E-GO2 (shop it here), a board that strikes a nice balance between performance and affordability. If you check the E-GO2’s specs, you’ll know that it’s not meant to be a joyride. It’s a no-frills electric skateboard, solid enough to not give up on you, and speedy enough to get you somewhere within an 18-mile radius on time. Most importantly, though, the E-GO2 costs a whole $700 less than the Inboard M1, and even $300 less than the most basic Boosted Board. At the same time, it doesn’t cost peanuts either, because it’s a decently engineered product that’s meant to last. The E-GO2 is powered by a 400-watt motor, and its speed maxes out at 12 mph. While those figures may not get your heart pumping, the fact is that they’re more than enough for your everyday requirements. For instance, you can ride the E-GO2 to up to 18 miles (on flat terrain), as compared to the 7 miles that a Boosted Board can take you. The E-GO2’s speed is adequate for your grocery store runs or daily commutes. Plus, you won’t be left stranded if you forget your charger at home, something that’s impossible with an up-and-running Boosted Board. Tempting though the E-GO2 sounds, it can’t be all good, can it? Well, barring the difference in speed as compared to its more heavyweight rivals, this electric skateboard has a bit of a tough time negotiating slopes. Plus, it takes a while longer to charge than its more expensive competitors, and one can argue that its remote control isn’t the best-looking thing on the market. But hey, for its price and build quality, I’d say the E-GO2 is a pretty sweet deal (and a pretty sweet ride) despite these minor trade-offs. What do you think?